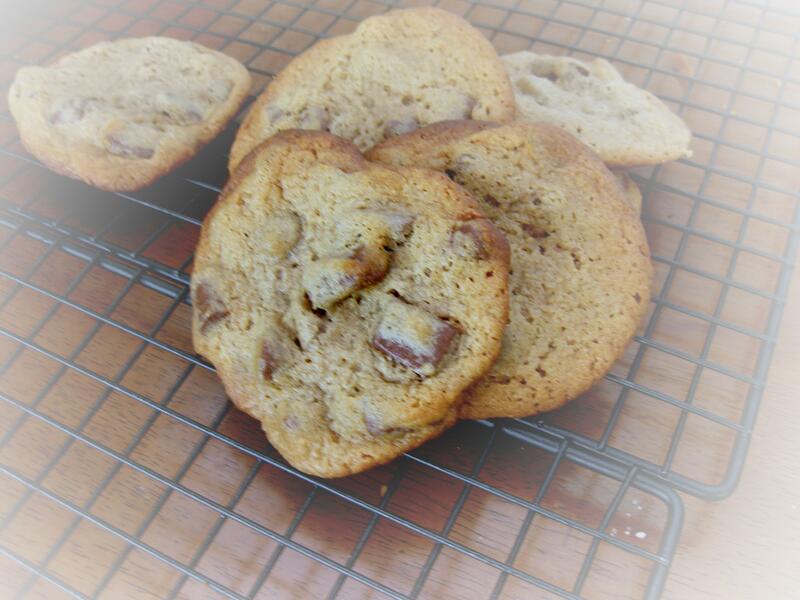 Malted Chocolate Chunk cookies. If you like malted chocolate balls (that sounded a little dirty..), this is your cookie. My mom is a huge fan of the afore-mentioned candies, and she really liked these :). Now, it wasn’t until later when I was perusing my favorite site, Pinterest, that I saw posted in a few different places that it was a cookie Holiday! Whoopie! Who doesn’t love a reason to eat a cookie? I found it funny that I had already made the cookies ;). Today is also My oldest Bear’s Birthday 🙂 This is his last year in the single digits! Gosh, I feel old now 😦 Oh, well…Anyway, my family usually celebrates birthdays together, and this is usually on a Sunday after church. Well, the Sunday closest to his birthday also happened to be Mother’s day this year. Of course I didn’t really mind sharing the day with the child who made me a mother to begin with. 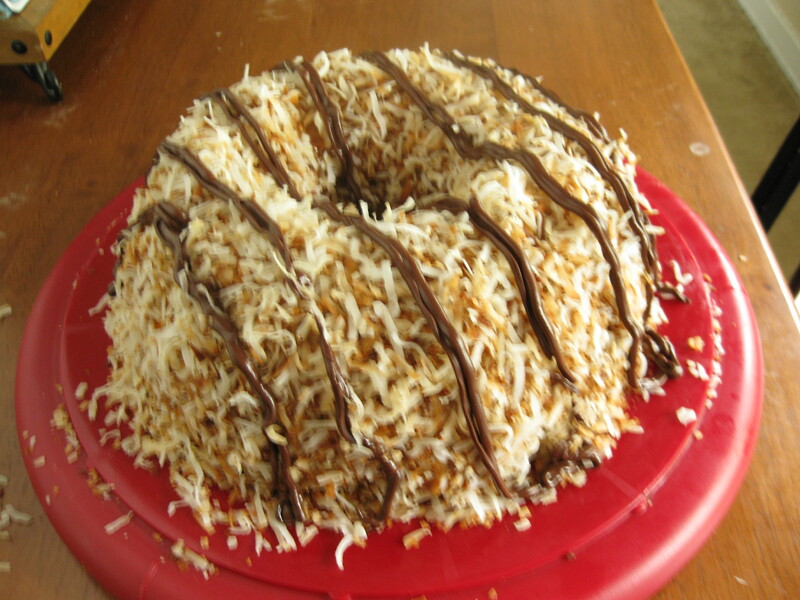 My Mom didn’t either 🙂 This was the perfect excuse to make this cake: I had asked Bear #1 what kind of cake he wanted and he wanted coconut. It was a match made in heaven! It was just the excuse I needed to make this cake! I got the recipe from here. Make sure to read the comments at the bottom of that post for some helpful hints, should you decide to make the cake, which I advise whole-heartedly. The cake comes out soft and tender, the topping is just delicious and it is easy to make! Definitely a crowd pleaser in my family. Birthday Bear was happy with it as well, which was what really mattered. I have quite a back log on things I have made so I will be posting about them soon. I hope you will go enjoy a chocolate chip cookie in any of its forms! Stay tuned…..